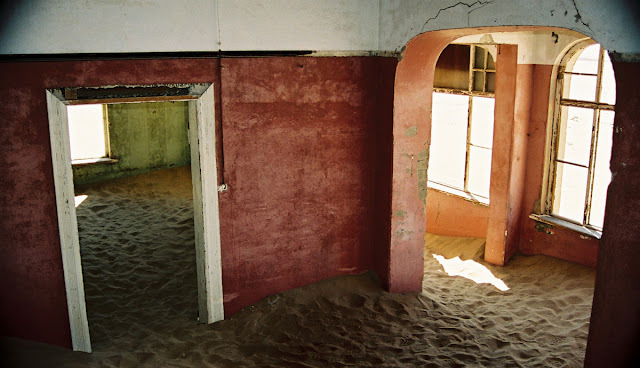 Kolmanskop is a ghost town in southern Namibia, a few kilometres inland from the port of Lüderitz. 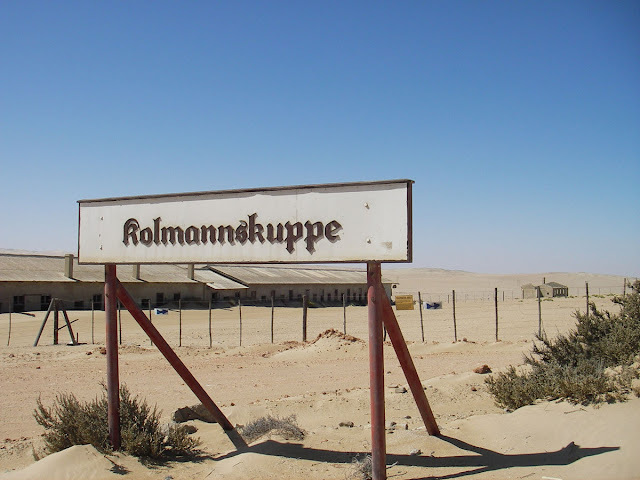 It was a small mining village and is now a popular tourist destination run by the joint firm NAMDEB (Namibia-De Beers). 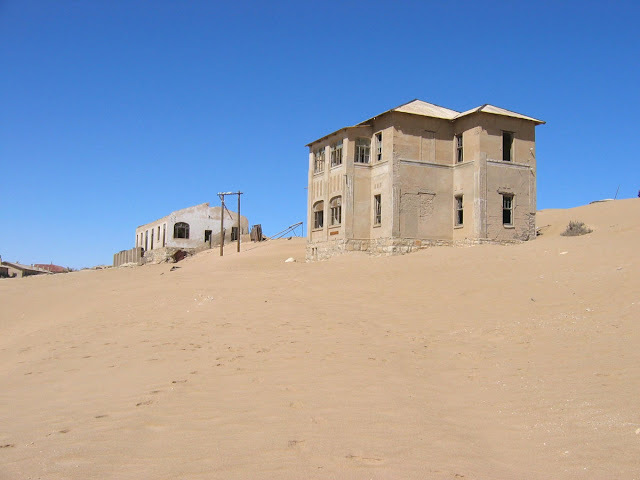 It developed after the discovery of diamonds in the area in 1908, to provide shelter for workers from the harsh environment of the Namib Desert. 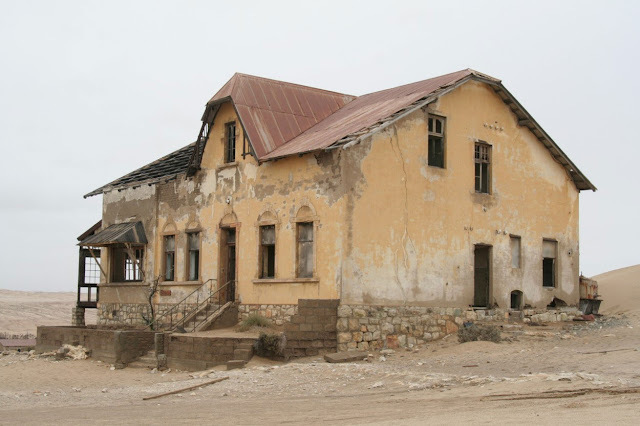 The village was built like a German town, with facilities like a hospital, ballroom, power station, school, skittle-alley, theater and sport-hall, casino, ice factory and the first x-ray-station in southern Africa. 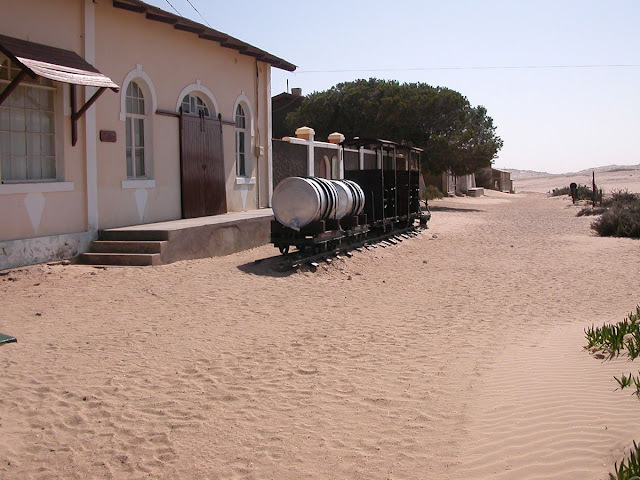 It also had a railway line to Lüderitz. 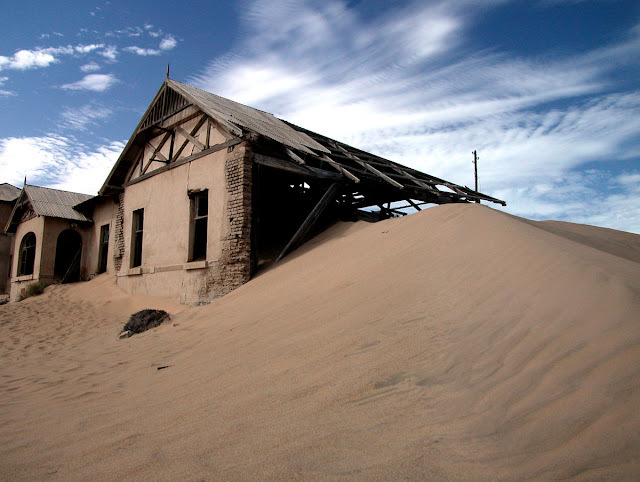 The town declined after World War I as diamond prices crashed, and operations moved to Oranjemund. 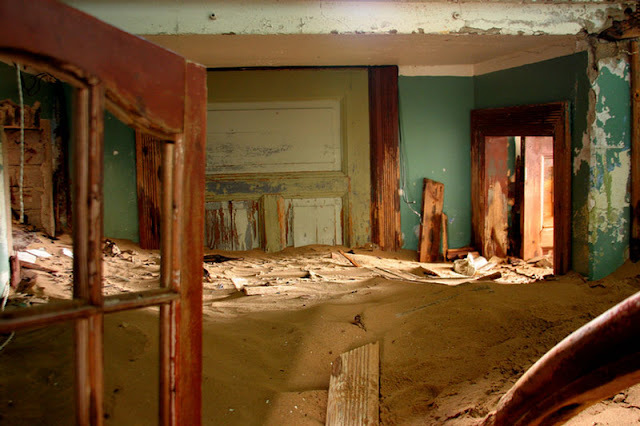 It was abandoned in 1956 but has since been partly restored. 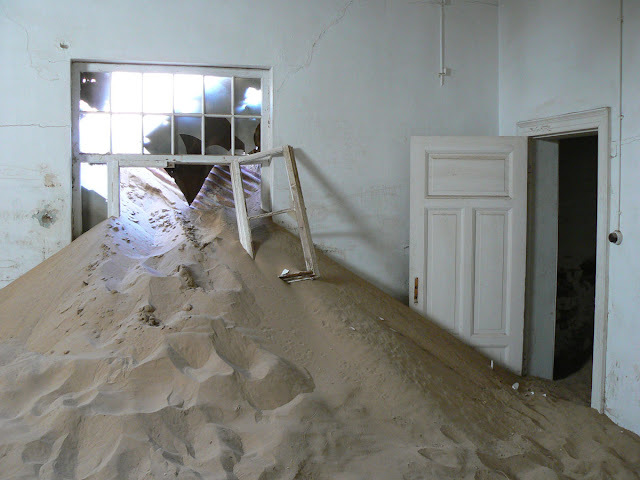 The geological forces of the desert mean that tourists can now walk through houses knee-deep in sand.